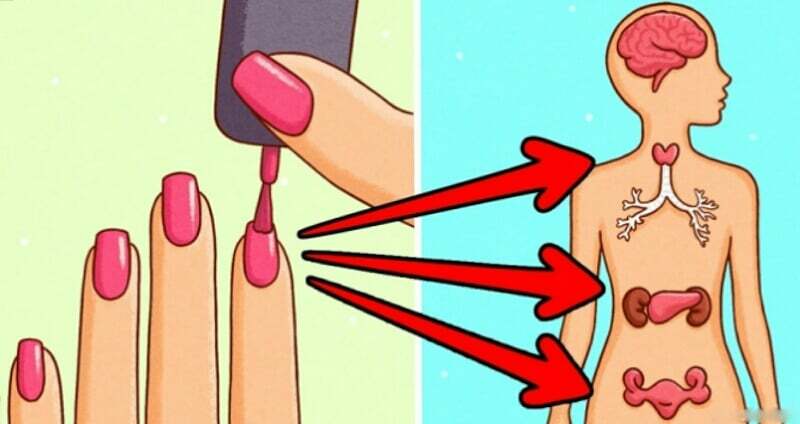 As we all know, you shouldn’t use nail polish too often, or your nails will begin to dry up and turn yellow. However, it turns out that this type of cosmetic can cause much more serious harm to our health. We don’t urge you to abandon nail polish altogether. Instead, the staff of Bright Side simply wants to list the negative effects its ingredients may have on your body. What is the main danger to your health? Toluene — a solvent which gives the nails a smooth finish and preserves the pigment. Toluene can affect the central nervous system and cause reproductive disorders. Headaches, weakness, fainting, and nausea are just some of the likely consequences of using substandard nail polish. Formaldehyde — a colorless gas that helps increase a polish’s storage life. If you’re suffering from allergies, contact with formaldehyde can cause dermatitis and possible chemical burns. In more severe cases, it can trigger heart rhythm disorders, convulsions, and cancer. Dibutyl Рhthalate is used as a fragrance. The presence of this dangerous component may cause you endocrine disorders, gynecological diseases, and diseases of the respiratory tract. Scientists conducted a study with a group of 24 women. 6 hours after painting their nails, most of the participants were displaying elevated levels of diphenyl phosphate — a derivative of triphenyl phosphate which is formed in the process of metabolism. 10 hours after the beginning of the experiment, the levels of diphenyl phosphate in the bodies of all participants rose to 7 times above the norm. These results are truly alarming. How do you choose a nail polish that won’t cause damage to your health? “5-Free“ means that the product doesn’t contain formaldehyde, its derivative resins (formaldehyde resins), toluene, dibutyl phthalates, or camphor. ”3-Free” means that the polish is free of just three of the harmful components: formaldehyde, dibutyl phthalate, and toluene. Before buying nail polish, first and foremost pay attention to the ingredients, and remember — your health is in your hands!